Own tune, or any 64 bar march. The description says "Waltz around". In that period "waltz around" meant take a ballroom hold with your partner and dance. Since the music is 2/4 rather than 3/4, the steps would be polka steps rather than waltz steps. 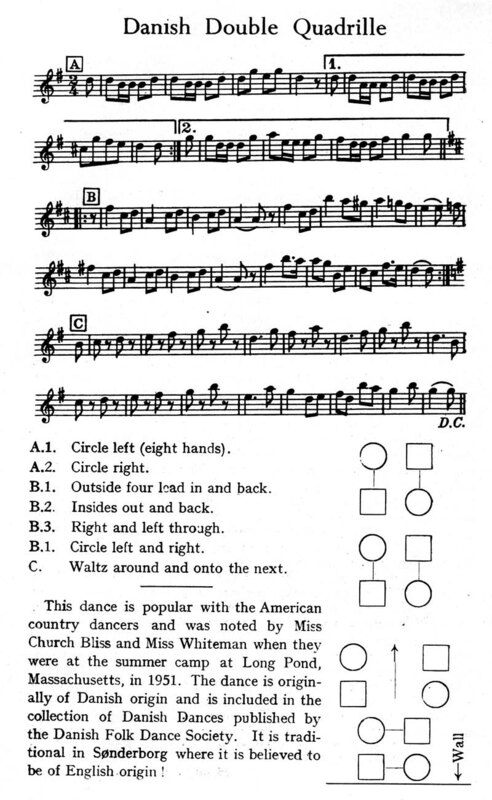 The dance was published in the Community Dances Manual where the wording is "dance around the opposite couple 2 1/2 or 3 1/2 times". I'd love to hear from you if you know anything more about this dance, its composer, its style, or its history.